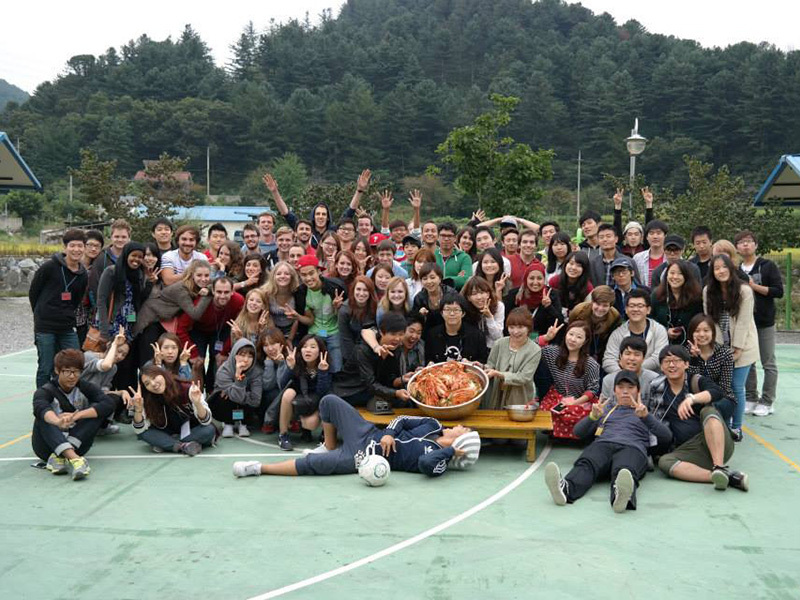 Hanyang Global Student Union (HGSU) is a place where foreigners feel at home. 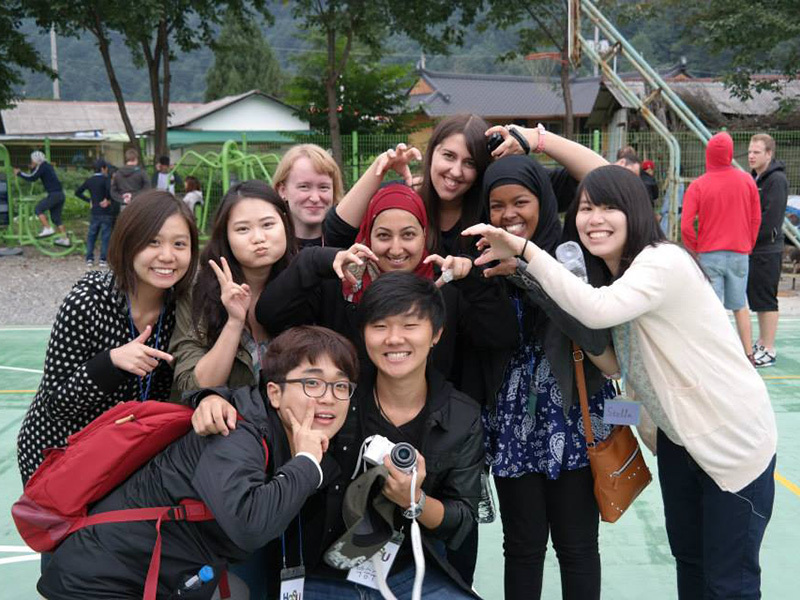 It is a club that supports foreign students at Hanyang University and helps them with their cultural exchanges with Korean students. Every member in the club learns more about each other and lends a helping hand. HGSU is located in International-Zone (I-Zone) on the 2nd floor of the student service building. I-Zone is used for members’ studying, resting and Friday meet ups. I-Zone Café: a large space in which students study and rest during their break times. I-Zone Square: Students can make friends and rest on the sofa and use three PCs freely in the Square. I-Zone Office: a room used by HGSU staff for weekly meetings to make sure everything runs smoothly. HGSU has annual main events such as OT, MT, Halloween Party and regular Friday meet ups. This year, it will be starting off with the New Member Welcoming Party (orientation) on March 7th. From March 29th to 30th, a MT (Membership Training) is planned and you can experience Korean traditional culture and make many friends. 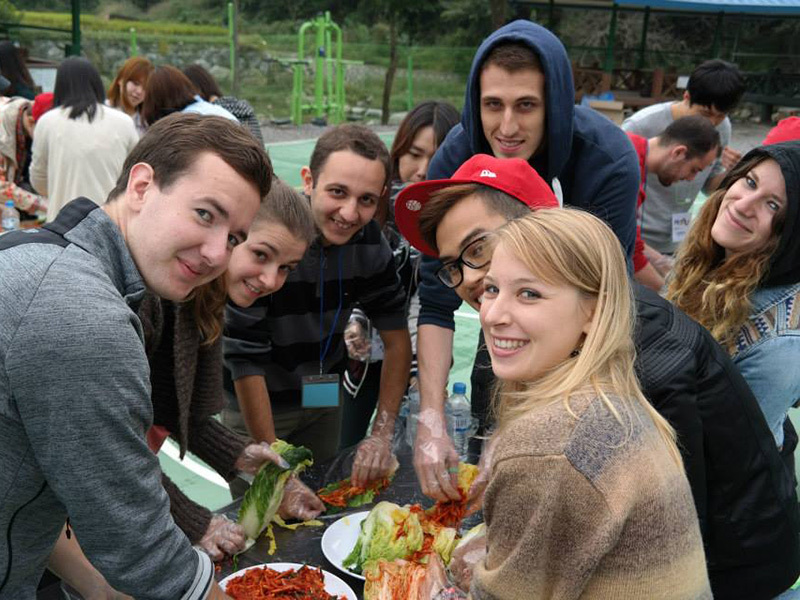 Last year, students made Kimchi by themselves and had an enjoyable time together during the MT. Temple Stay, Seoul Tour, and K-pop Festival will be held on May 3rd, 10th, 17th respectively. This semester is filled with many other events that foreigners and Koreans can enjoy together.